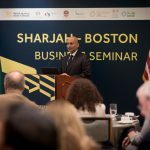 Latest in a series of Sharjah’s ongoing global networking efforts to showcase the strengths of its economy as a haven for foreign investors in a diversity of economic sectors, a high-level delegation from the emirate, led by Sheikh Fahim bin Sultan Al Qasimi, Chairman of Department of Government Relations of Sharjah, recently completed a visit to Boston, USA. 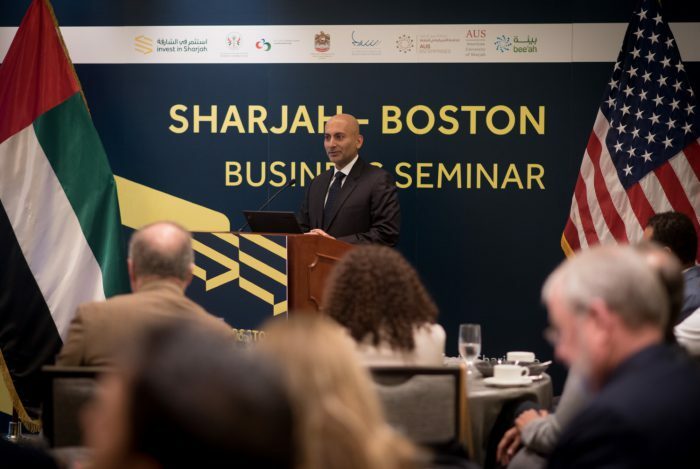 A business seminar, organised by the Sharjah FDI Office (Invest in Sharjah), also took place in the city, and provided strategic and personalised prospects to Boston-based investors in Sharjah’s unique and leading investment climate. 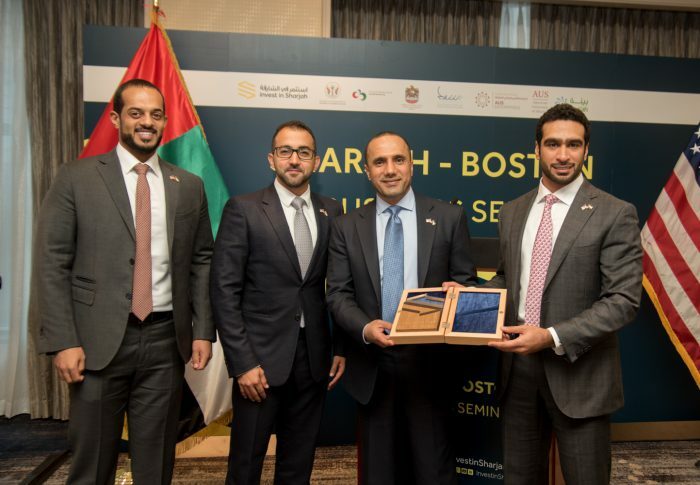 The delegation visit and program took place in light of recent developments between the UAE and Boston, where in 2016 it was announced that the UAE opened a Consulate General in Boston, Massachusetts – its third in the United States – to promote bilateral relationship and enhance US–UAE cooperation throughout New England. 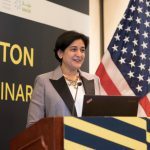 Furthermore, in 2015, Massachusetts exported over US$150 million in merchandise and goods, making it the 21st largest exporting state to the United Arab Emirates, with the state also benefiting from UAE imports, with $17 million of goods imported during that same year. 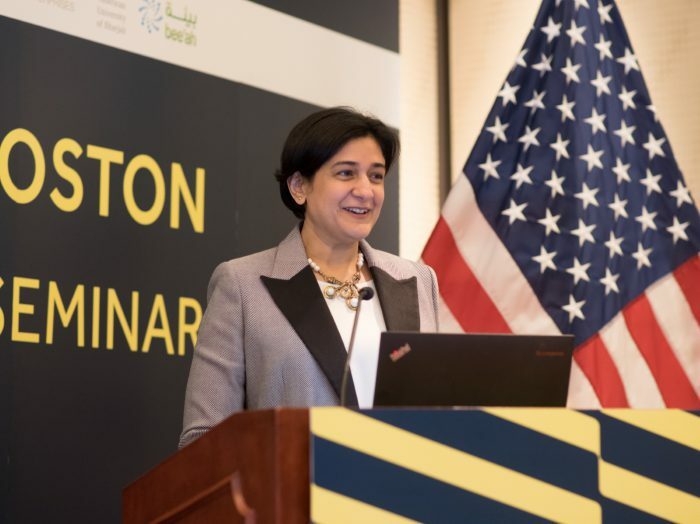 According to a recent SelectUSA report, the UAE is the seventh fastest-growing source of foreign direct investment (FDI) in the United States. 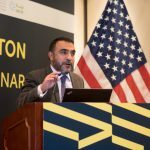 Emirati FDI in the US grew from $16,699 million in 2011 to $27,480 million in 2015. The top industries in the US for Emirati FDI are financial services, transportation, fossil fuels, communications and aerospace. 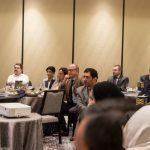 Organised by Invest in Sharjah, in partnership with the US–UAE Business Council, the “Sharjah–Boston Business Seminar”, took place on Tuesday (September 25), and brought together senior US-based investors to meet with six of the emirate’s government representatives at the Ritz-Carlton in Boston. 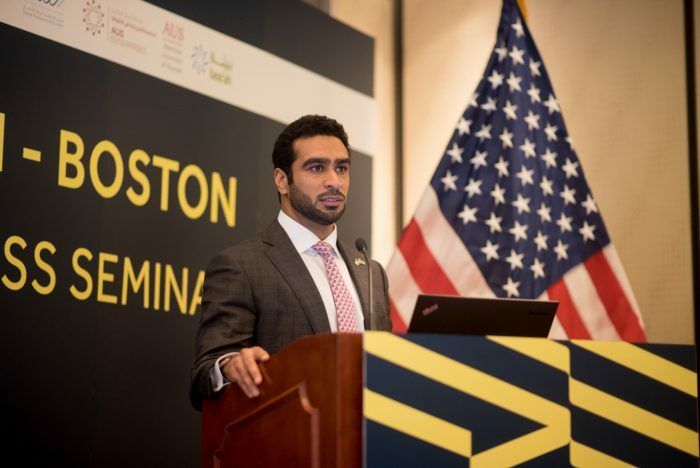 The seminar was attended by American and Emirati diplomats, high-level business officials, investors in Boston and US looking to expand their operations into the UAE’s fast-growing economy, and private businesses. Representing Sharjah’s government sector during the business seminar included the Sharjah Entrepreneurship Centre (Shera’a), American University of Sharjah Enterprises (AUSE), the Sharjah University, the American University of Sharjah, the Sharjah Environmental Company (Bee’ah) and Sharjah Research, Technology and Innovation Park. 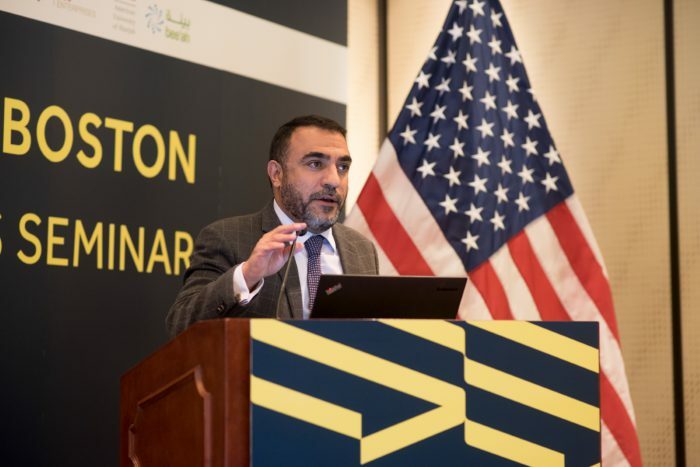 Attendees and participants were presented a key opportunity for both sides to identify areas of bilateral business interests and ways in which Invest in Sharjah and allied entities representing Sharjah’s government can help American businesses bring their commercial aspirations to the emirate and realise them in profitable and sustainable ways. 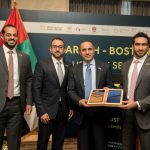 Among prominent attendees were HE Salem Alshamsi, Consul General of the UAE in Boston; Sheikh Fahim bin Sultan Al Qasimi, Chairman of Department of Government Relations of Sharjah; and Danny E. Sebright, President, US–UAE Business Council. 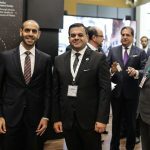 Representing Invest in Sharjah during the seminar were Mohammed Juma Al Musharrkh, CEO, Invest in Sharjah and Marwan Alichla, Investment Promotions Manager at Invest in Sharjah. Sheikh Fahim Al Qasimi, Chairman of the Department of Government relations in Sharjah said: “The long-standing political, and economic relationship between The United States of America and The United Arab Emirates is something that we have celebrated during this visit, this bilateral relationship is important to Sharjah, and we aim to continue, and highlight the important opportunities that exist in investment between our two cities”. Commenting on the business seminar, Sheikh Fahim Al Qasimi expressed his pleasure of collaborating with the UAE Consulate and Invest in Sharjah in organizing the Sharjah Boston Business Seminar, saying: "We aim to boost our business relationships, and I am very pleased to witness the recently growing activities between the two sides". 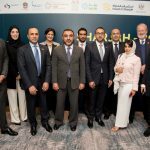 He noted Invest in Sharjah have been spearheading their collaborations with public institutions and private companies, to help guide businesses, and facilitate investment growth across all sectors with a focus on Travel & Leisure, Transport & Logistics, Healthcare, Environment, Education and Light Manufacturing. 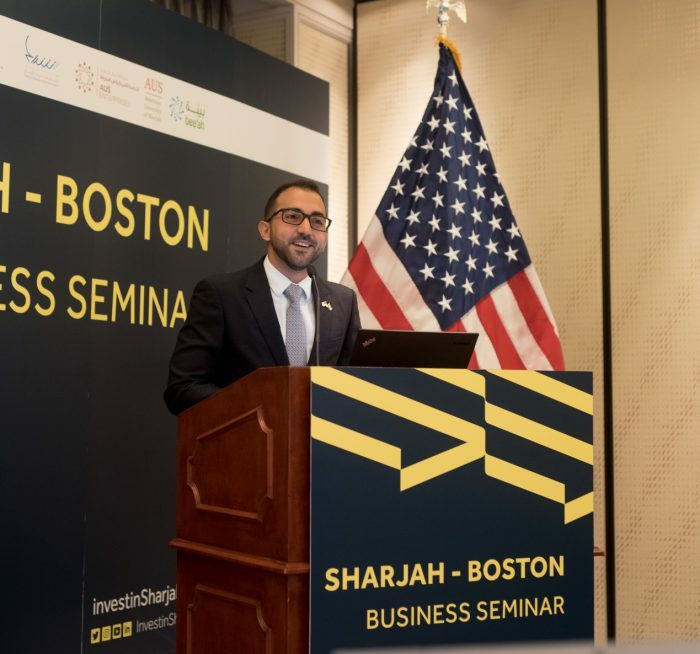 During a detailed presentation on the investment opportunities in Sharjah and the potential that lies for Boston and the larger community of American investors, Al Musharrkh said: “With shared interests and common values, the UAE and US are close friends and strong partners. Thanks to our open economy, attractive business environment and continued economic growth, the UAE and Sharjah have emerged as a key international trade hub between East and West. He added: “Boston’s national leadership in innovation, sustainability, education and research, is closely aligned with Sharjah's interests as a pioneer for sustainable economic development in the Middle East. In addition to strengthening bilateral relations, this visit has offered new perspectives towards the development of our shared interests, and offered prospects to build on our complementary strengths." 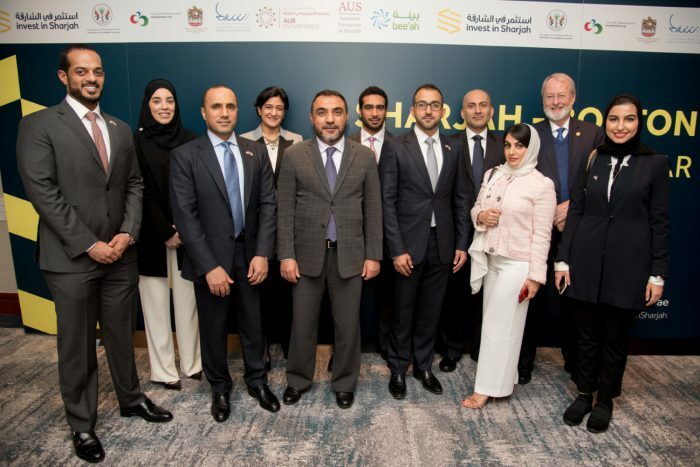 Danny Sebright welcomed the opportunity to deepen bilateral trade ties with Sharjah noting that the UAE has been the strongest ally of the United States in Middle East and North Africa (MENA), and the region’s largest exporter to the US. 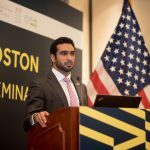 He agreed with Al Musharrkh’s observation about the potential that lies in enhancing economic cooperation in the education sector and explore ways to develop knowledge exchange channels and a mutually beneficial relationship, given Sharjah and Boston have played a leading role in shaping and delivering academic expertise to its respective communities.